Breakfast this morning was interesting. Bacon, sausage, scrambled eggs, beans and a generous serving of The One. You know, that software we broke last night that has seen a massive number of guinea pigs toss their name into the hat for beta testing hell. I got to see the software in action and rather impressive it is too. So what can I say about it? Well until authorised, I can do little more than paint with broad strokes. 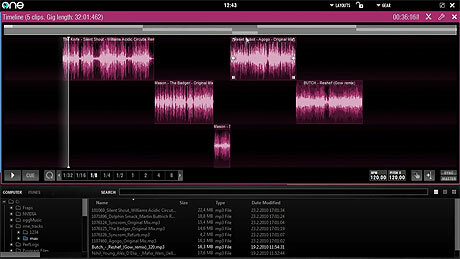 The core software will be the first to see the light of day, with the main elements of emulating regular DJ software but with things like the timeline coming first. I was reminded of the Mixmeister method of working with the timeline, where you can pre-construct a basic set, but also make changes on the fly. The actual interface is clever. It can be more or less anything you want, with elements like EQ auto updating if you add extra decks, or players are they seem to be called. 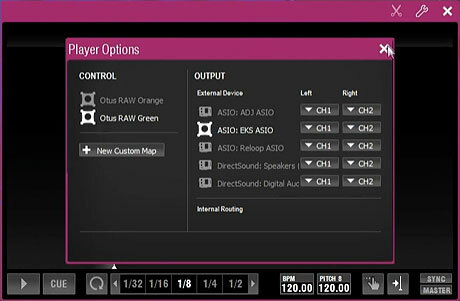 Each player appears to be able to be defined for individual output devices and also controllers. The interface can be configured any which way you like, as simply as adding an element, dragging it into position and saving to a new layout. The aim is to rewrite the rules and to put the choice back into the hands of the users. I really do want to tell you more, but there's still a lot to be finalised in The One. Rest assured that I'll be bringing you what I can when I can. Will the actual name be called "The One"? Not if it turns out to be a badass piece of software. What sort of accent were your fellow breakfasters speaking with? I wonder if this is a well known hardware manufacturer or maybe just another person jumping in the crowd. What where the results of your whois search? I also tried but I got a private server registration. I guess I must be blind to see the hint. AHA! I see it now! This is going to be interesting, I always thought their hardware was pretty interesting in concept and it looks now like the software will also be. looks amazing.. i love that you can edit your tracks in the timeline. It just needs video support! Did we just see the birth of a new model of DJing? 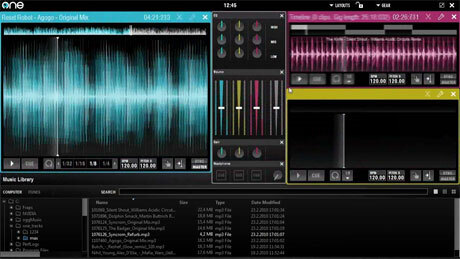 It's a hybrid of the traditional DJ app and the DAW. While I suppose that SSL/ITCH + the Bridge + Ableton Live can achieve the same thing, THE ONE seems more... friendly. * Used with Giz's permission. It kind of looks like Reflex 2. I love it. What is the date when we will learn more. It features SPLICE! Skip a section seamlessly. 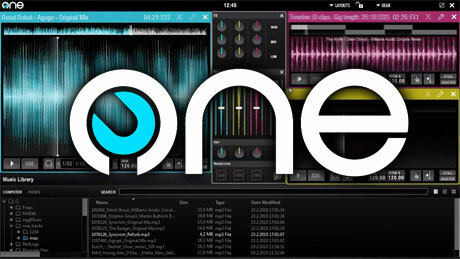 This is a first since Denon introduced it 8 years ago. whoistheone.net is registered in Finland and as EKS are a Finnish based company it would probably be correct to assume EKS are behind this. Looks like a hybrid of Mixmiester and Tractor with the added customization of being able to setup your screen layout. whoistheone.net SEND SPAM TO MY EMAIL ACCOUNT !!!! WHAT`S UP ? I got a similar random email with replys from other people for some reason. I seem to have a password but no login name and neither of the reply email addys given work?? ?